There’s no better combo than plus-30 degrees Celsius temperatures, a gorgeous patio, and a refreshing pint. But what local Vancouver brew is the answer for a weekend in the sun? I’ll admit I ordered this beer with an ounce of skepticism, but after sitting down at Craft Beer Market and trying Steamworks‘ Killer Cucumber Ale, I can tell you with confidence that it’s the answer. The ale is light in colour and gentle in flavour, but still delivers a standard 5% alc/vol. The cucumber infusion is picked up on the nose and tongue and adds the most refreshing touch to any beer I’ve ever tried. 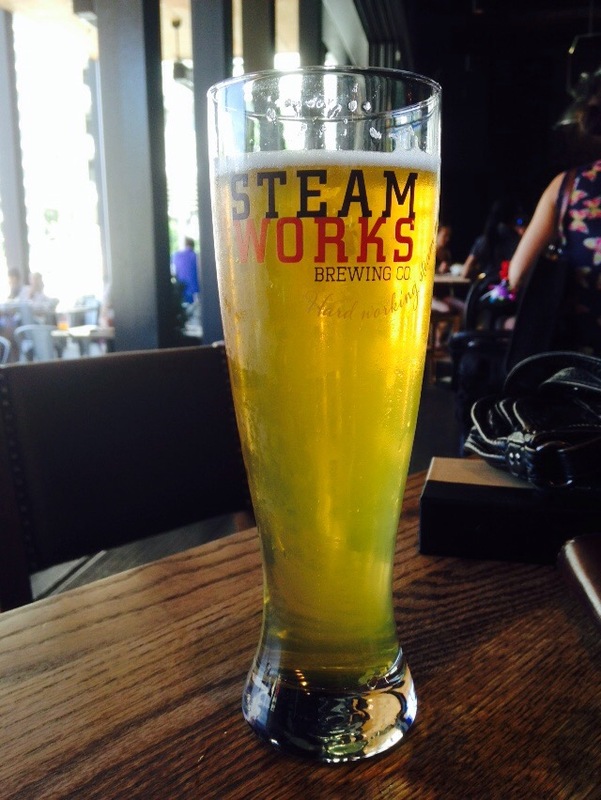 Enjoy the sunshine, enjoy the city, and enjoy a Steamworks Killer Cucumber Ale this weekend!